The British colonial administrator and scholar Sir Reginald Fleming Johnston (1874-1938) travelled extensively in the Far East, developing a keen intellectual interest in Chinese culture and spirituality. His fourteen-year posting to the relatively quiet port of Weihaiwei allowed him to indulge this interest and to travel to places not usually visited by Europeans. In 1918, he was appointed tutor to the young Puyi (1906-67), who had been China's last emperor before his forced abdication. 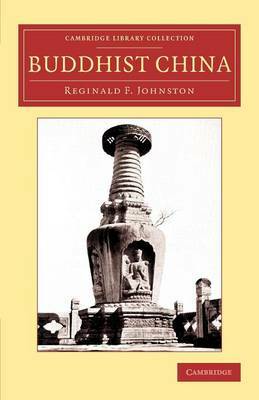 Deeply interested in Mahayana Buddhism, Johnston played an important role in raising Western awareness of its philosophy and practice in China. This work, first published in 1913, provides valuable insight into the history of this branch of Buddhism as well as fascinating accounts of notable centres of Chinese monasticism. Among other works, Johnston's Confucianism and Modern China (1934) and Twilight in the Forbidden City (1934) are also reissued in this series.